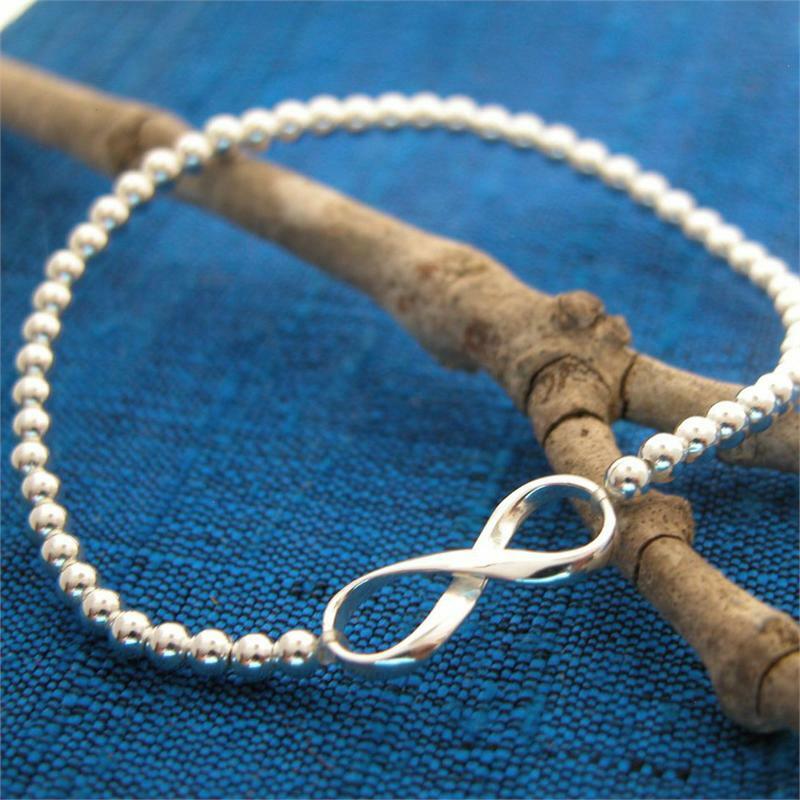 Infinity symbol in sterling silver on a stretchy bracelet with 3mm silver beads. Nice token of love that lasts forever! 7" bracelet is strung with sterling silver beads that are approximately 3mm in diameter. Infinity symbol measures about 3/4" x 3/8". Handmade in Thailand.